The high quality Genesis Tandem Island Sailboat Trailer is the perfect trailer for the Hobie Mirage Tandem Island sail boat. This trailer features raised 52" wide carry arms. 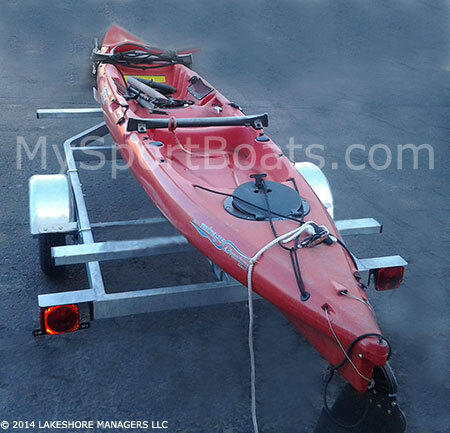 The Hobie Tandem Island trailer features an all welded galvanized frame for a long service life in both fresh water and salt water environments. 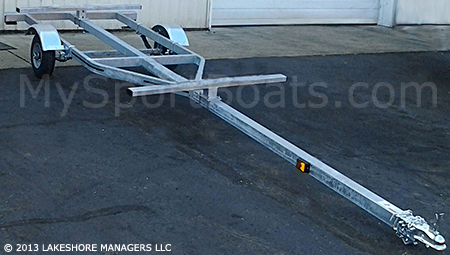 This Genesis sailboat trailer ships unassembled on a pallet by truck freight (semi). Raised Carry Arm Width: 52"